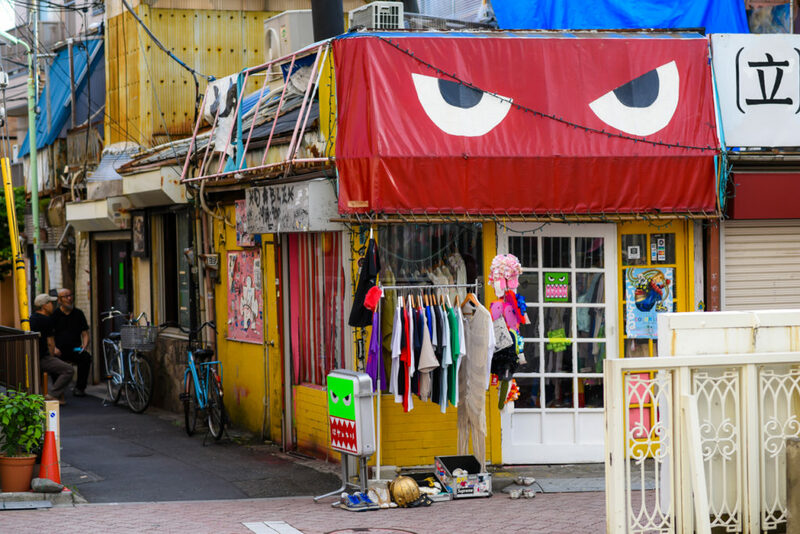 Lots to do in Tokyo’s former punk ‘hood. 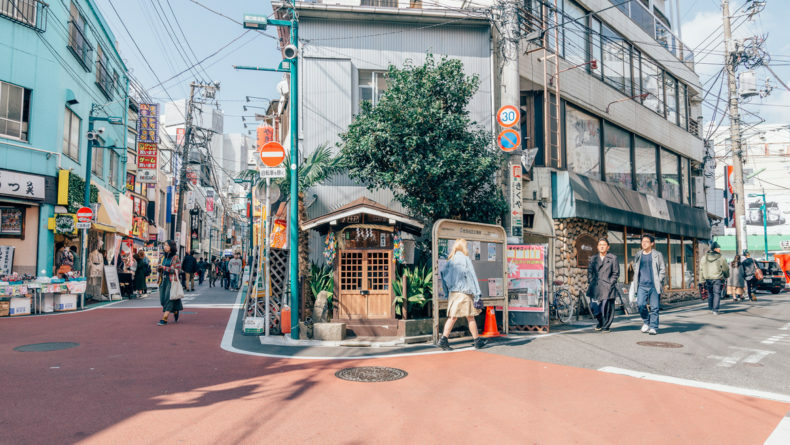 A short train ride from Shinjuku drops you at the front stoops of Koenji, Tokyo’s star neighborhood with an expanding creative scene and a center of alternative youth culture. Removed from the masses in the center of the city, this cozy hood exudes a laid-back attitude of the kind where shoppers endlessly browse in pursuit of vintage gems, and local izakaya stay filled with the sounds of clinking glasses, hearty cheers, and buzzing conversations till the wee hours of the night. 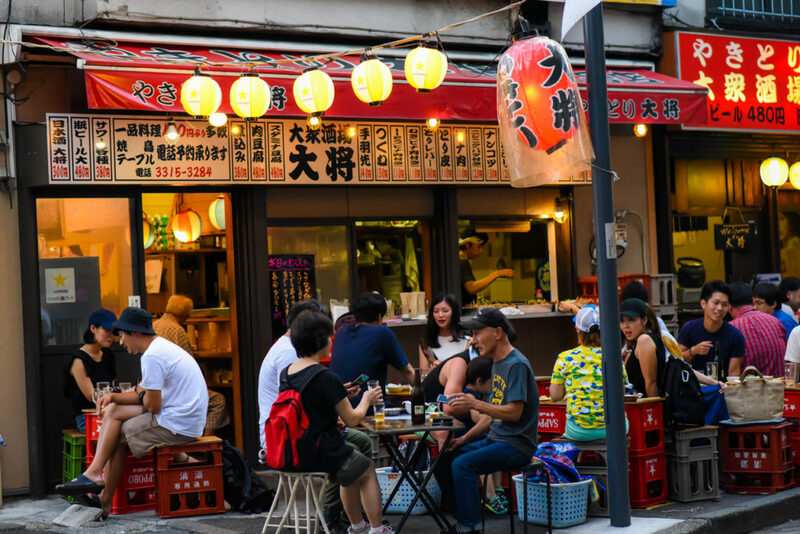 Whether you choose to stay in an art hotel, soak in an onsen, enjoy live music in an underground bar or shop for vintage clothes – there’s much ado about Koenji, even if you’re on a low budget! 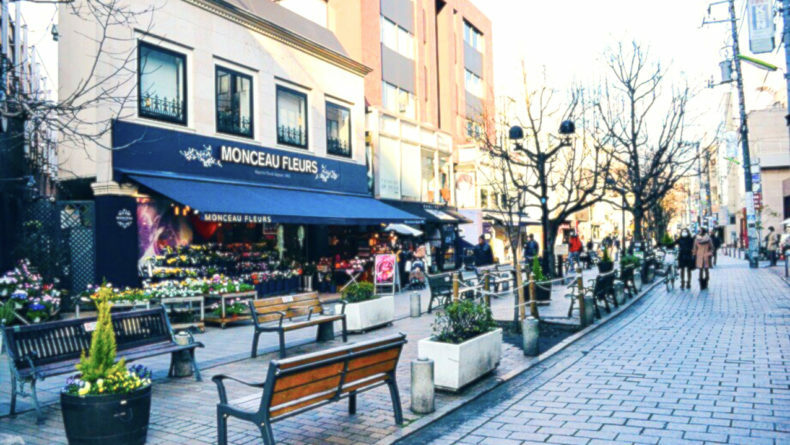 Nestled within Suginami ward, together with neighboring Asagaya, Ogikubo, and Nishi-Ogikubo, Koenji makes its own name. Initially a sleepy farming settlement on the Ome-kaido Highway, Koenji saw an influx of small merchants and laborers displaced from downtown Tokyo by the destruction caused by the Great Kanto Earthquake of 1923. Increased population resulted in the development of the local economy and by 1950s Koenji became particularly popular for its tea and coffee houses and for the start of the Awaodori Festival. 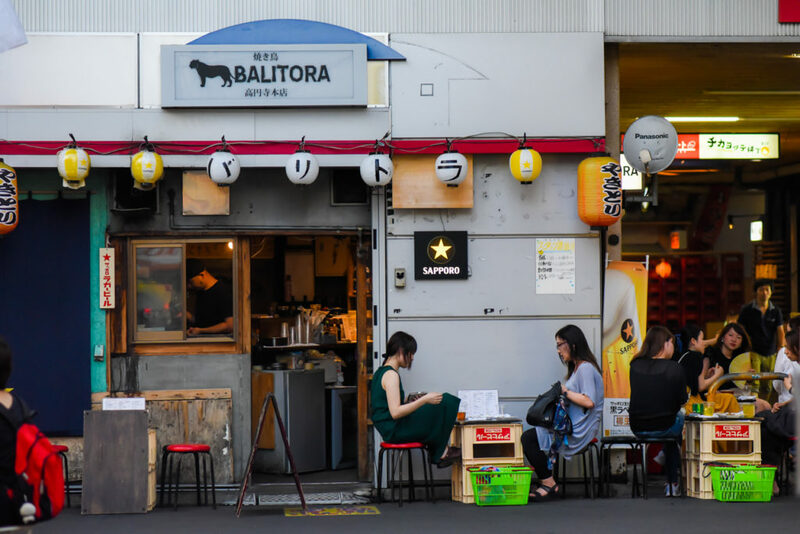 While Shimokitazawa leans towards “hipster,” Koenji lies on a bit mature yet edgy end of the spectrum which is perhaps explained by the fact that it was once home to Tokyo’s punk scene in the 1970s. Interestingly, when the Japanese PSE law went into effect restricting the sale of electronic goods built before 2001, Koenji was chosen as the site for a protest due to its active “retro” culture and used equipment shops. These roots are very much alive in today’s Koenji and reflect on the vibrant suburban underground culture that includes multiple used records and clothing shops. 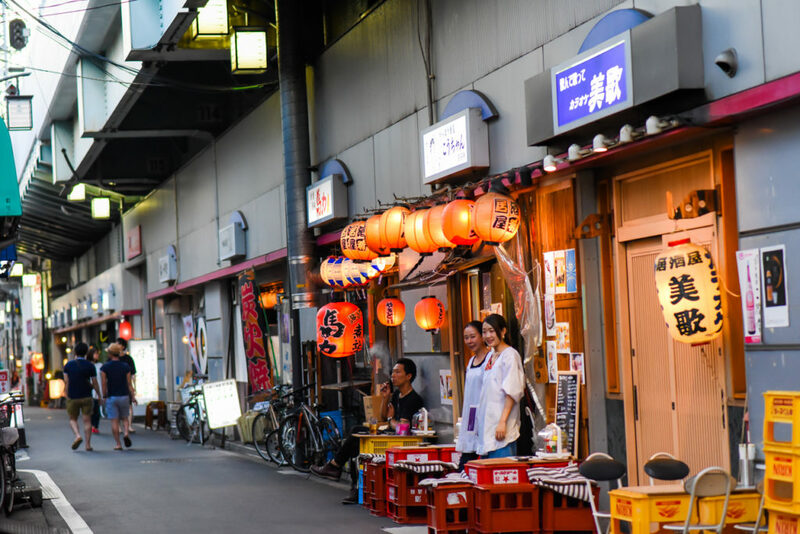 The district has also avoided the major modernization of the 1980s in Japan and oozes the retro character of pre-boom Japan, with most of the houses and shops in the area being small and quaint. 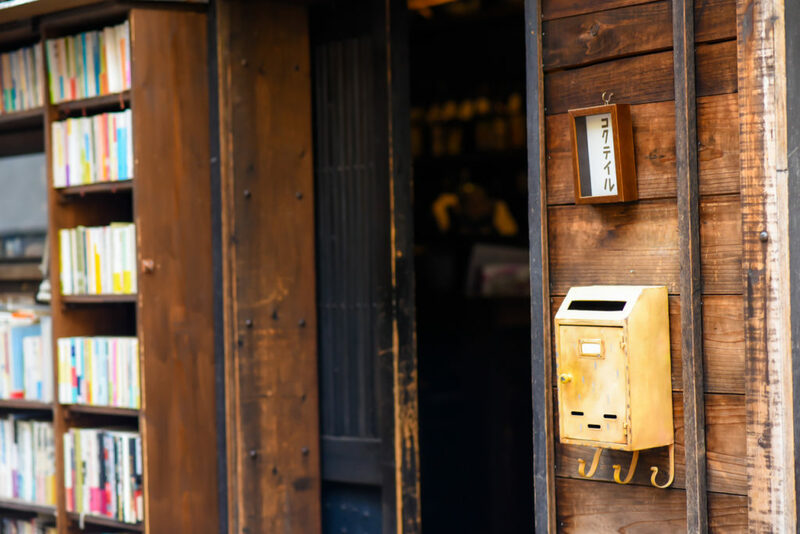 From an array of retro stores to cool live houses and traditional venues, Koenji is a place worth a day (or two) visit — and you’ll never get bored. Touring temples might not be the very first thing that comes to mind while strolling allegedly Tokyo’s coolest neighborhood, but Koenji is actually well known for its numerous historical Buddhist temples and Shinto shrines that have a cozier vibe and are very photogenic. My favorite is the Mabashi Inari Shrine hidden in the residential part of the district. 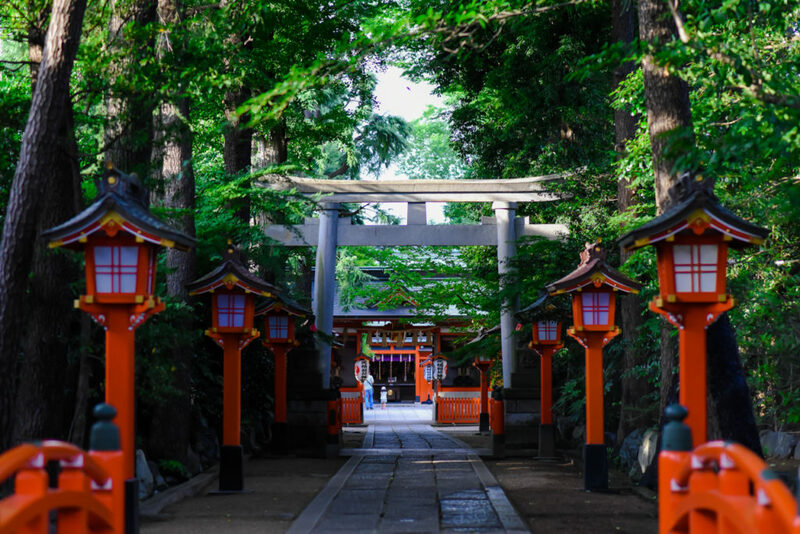 Three grande torii gates lead the way – over a little bridge and through the shaded pathways lined up with vermilion lanterns – towards the shrine grounds. Out of its three torii gates, it’s the stone one that stands out with striking carvings of dragons on each side called soryu, or paired dragons. In fact, this gate is one of the Three Dragon Gates of Tokyo. One dragon is climbing while the other is descending. 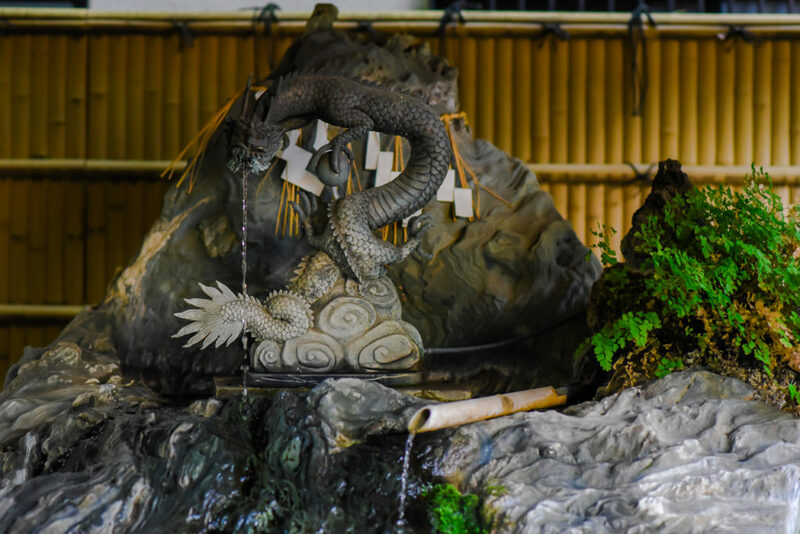 It’s believed that if you make a wish while touching the rising dragon, it will deliver your wish to heaven to be granted. The tricky part is figuring out which one is which. 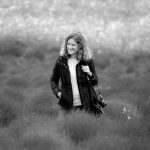 There is an abundance of thrift stores you can rummage around in for bargains, particularly around the so-called “Look Shopping Street” where the young come to look for cool, cutting-edge second-hand, clothing. Unlike other thrift stores around Tokyo, items here are well-priced and in a very good condition. Lover Soul and Sokkyo are two of my absolute favorite. The former carries an excellent range of retro ‘60s and ‘70s clothing at affordable prices, while the latter provides authentic Koenji vintage experience and is known for its highly curated selection of on-trend pieces for both men and women, mostly of American origin, as well as vintage pieces ranging from the 1920s to the 1990s. If you are in the market for yukata or kimono, there are a few vintage shops for you as well. Check out Kirakuya – offering a huge selection of reasonably-priced vintage kimono – and Mame Budou – carrying kimono with unique motifs and patterns, as well as vintage beaded bags. Koenji is also a music collector’s paradise stocking a lot of rare items in numerous vintage record shops. Attached to the station and to the west is Rare Records. When it comes to Western tunes, they mostly deal with rock, but don’t pass up their soul section as well. On the northern side of the station, check out En-Ban Records featuring records no one else would even attempt to sell. If you’re looking for something you can’t find anywhere else, this should be your number one destination. The place also functions as a bar and live house, and might be a cool place to hang out late at night. EAD Records, stocks a remarkable well-curated collection, primarily focusing on jazz, European dance music, and disco. Awaodori is the traditional dance of Tokushima with a history that spans over 400 years. What started as a festival to revitalize the small shopping streets throughout Koenji in 1957, grew into Tokyo’s major summer event with over 10,000 dancers and over 1,000,000 spectators. Today, the area is largely known for this major summer event, where locals and tourists flood the area to enjoy the dance tunes during this very season. 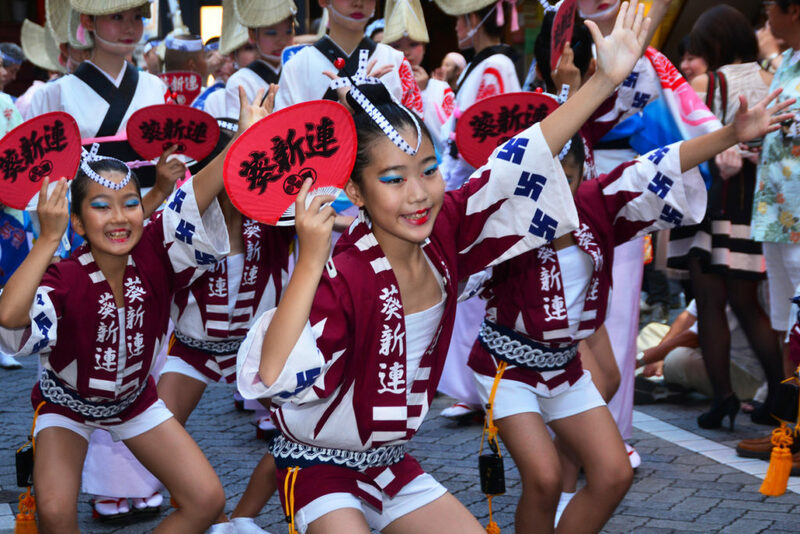 This year, the Awaodori takes place on August 26 and 27th. 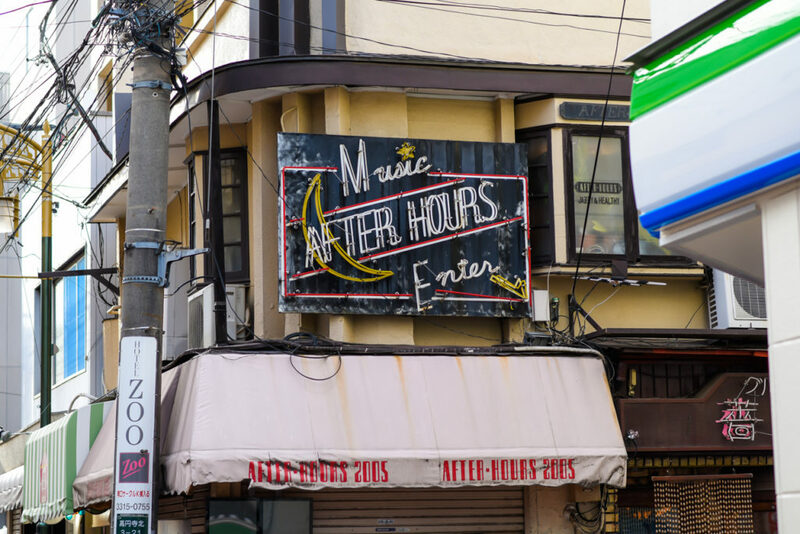 Live houses, the Japanese name for music venues or live bars, are one of Koenji’s main attractions. From alternative rock to free-form jazz, most tastes are covered, and the setting definitely trumps your usual faceless concert venue. There are many to try out. Jirokichi, for example, is a very cool and conveniently located live house with over 40 years of history and a very active community of patrons. 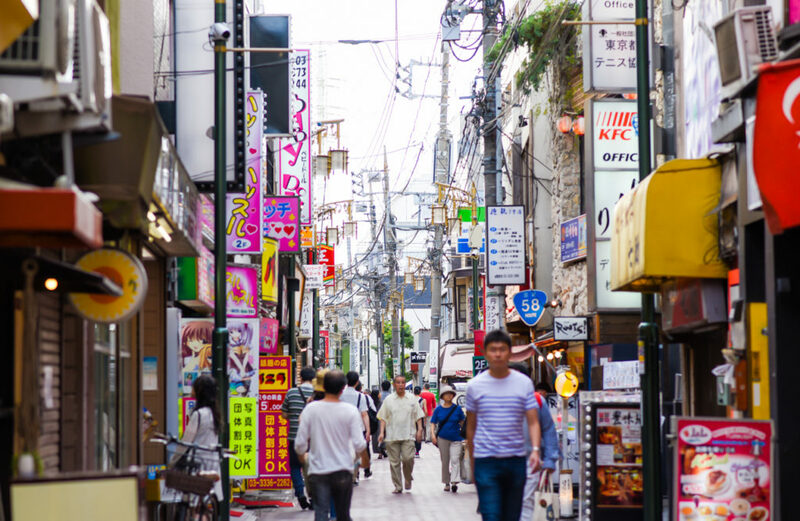 Koenji is a paradise for cheap eats, retro kissaten (coffee shops), and bars. The izakaya and yakitori in the arcade under the JR line and close to the station are particularly recommended. Casual al fresco dining is a thing here, crates are turned upside down to serve as a chair/table. Grab a seat and order your favorite meat on a stick — and nama biiru or two, of course. 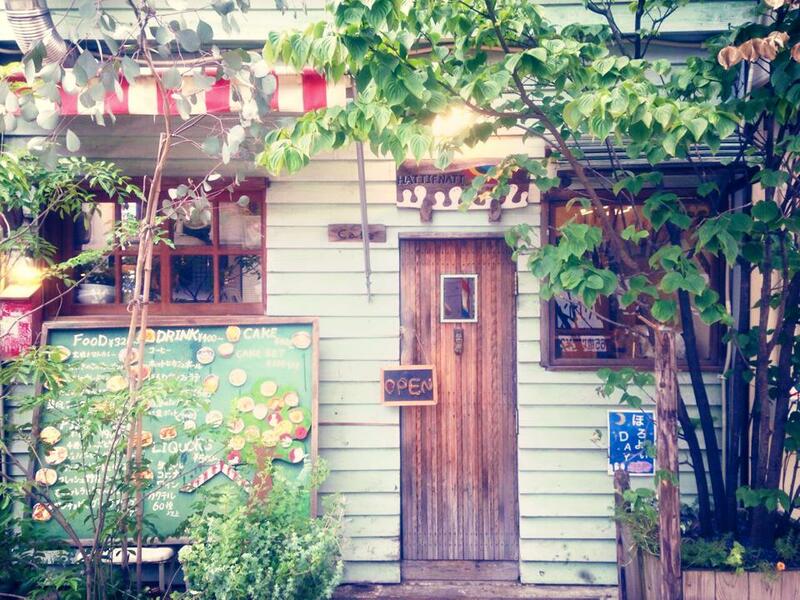 For a healthy dose of cuteness, check out Hattifnatt Koenji, a charming café that features unique decor and design – colorful illustrations adorn the walls and you can’t help but feel like you are a kid exploring a tree house as you climb the ladder to the loft seats. The menu features pizza, salads, a selection of desserts and of course the cutest flavored lattes in town. I tried hazelnut and match and they did not disappoint! For a taste of real artisanal coffee head to Coffee Amp which features single-origin roasts and its excellent “Juice” and “Drop” blends. You can watch every step of the coffee-making process while sipping on your cup of delicious latte on one of the few bar stools. 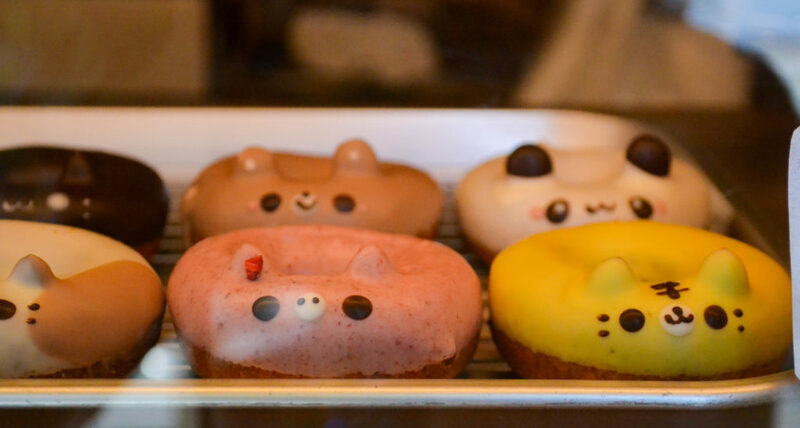 Nature Doughnuts Floresta along the Koshin Shopping Street outside Koenji station sells doughnuts so cute you may not be able to bring yourself to eat them. 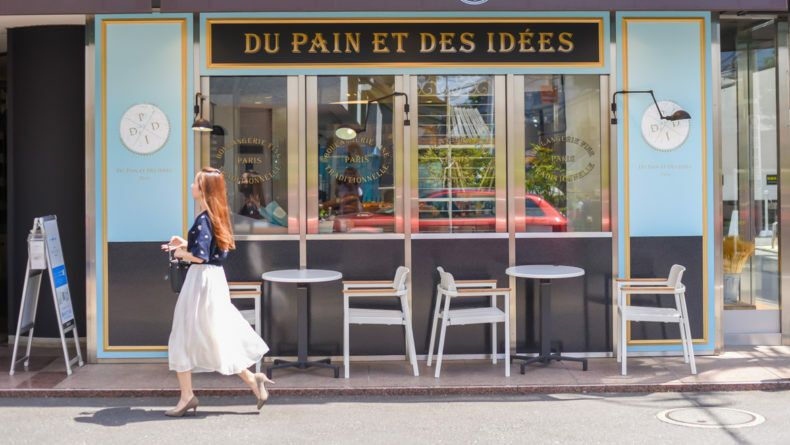 With a few branches in Tokyo, Floresta has made a name for itself as a baker of organic and “healthy” version of the favorite indulgent snack. The adorable creations usually sell out fast, so beat the crowds by getting there in the morning or early afternoon. At night, end your day trip with a drink at one of the quirkiest bars in the area, 44Sonic, which is a real otaku paradise. 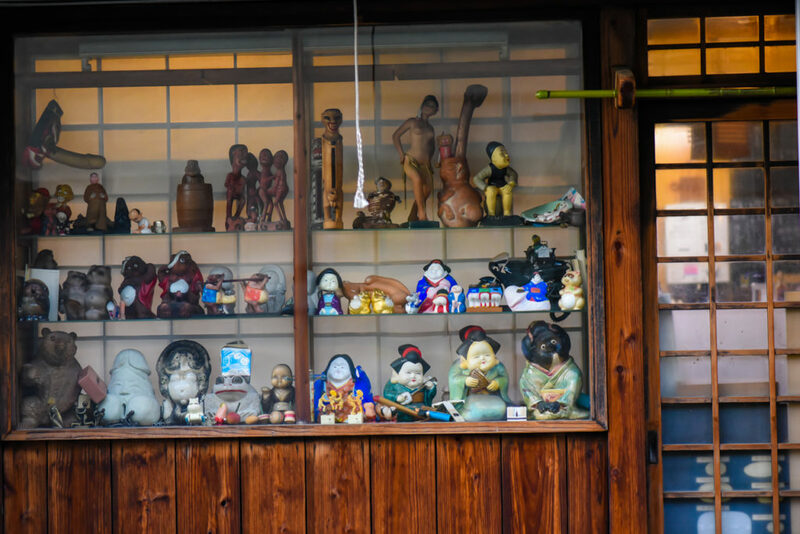 The figurines, DVDs and comic books adorn the walls and shelves of this bar, located right outside Koenji’s neighboring Asagaya station. The charismatic bartender will even mix you a drink based on your favorite fictional character — watching the process is an experience in itself! Take the Chuo Line or the Sobu Line from Shinjuku toward Mitaka on the express train and get off at Koenji station. 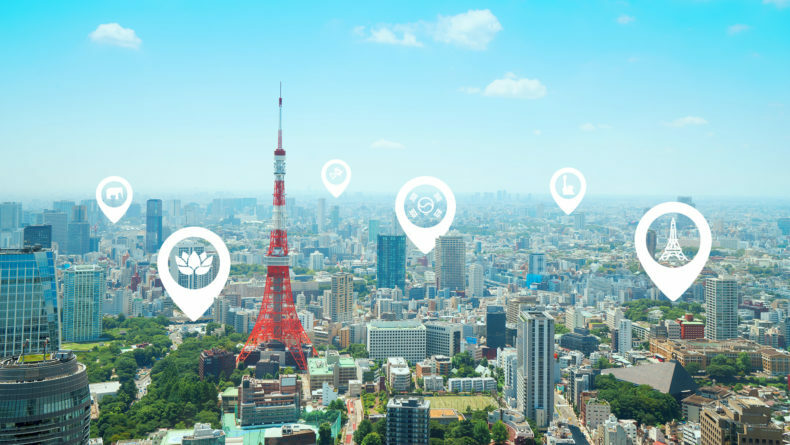 “Tokyo Neighborhood Strolls” is Savvy Tokyo’s monthly guide to the capital’s best destinations for a day out. What neighborhood would you like to see next? Let us know in the comments! Welcome to Shimokita, the bohemian ‘hood where Tokyo's cool kids gather.